From cap and trade to ambitious zero-emissions vehicle standards, La Belle Province is cutting an aggressive path. 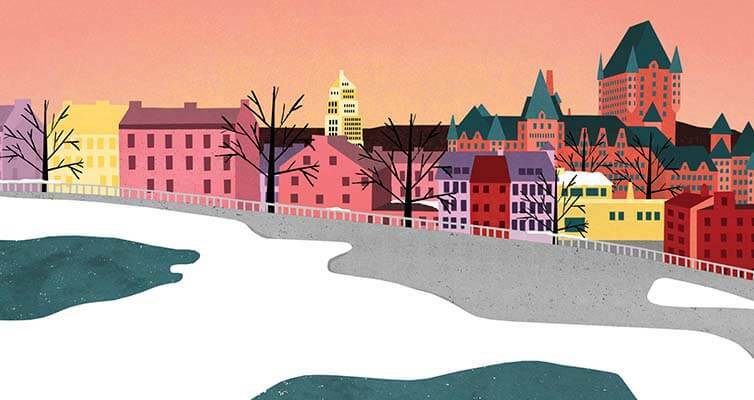 Quebec has always set itself apart from the rest of the country. We’re not just talking about the official language or its distinct political and cultural landscape, but smaller things like Quebecers’ religious devotion to the Montreal Canadiens or their passion for wine (at more than 22 litres per person, Quebecers lead the way in Canada in annual vino consumption). One other area where La Belle Province is setting a distinct trajectory is in the policies it has adopted to fight climate change. The environment has been a major priority for the Quebec government for more than a decade, and even the person currently responsible for it has a combative title you won’t find anywhere else in politics. David Heurtel is the minister of sustainable development, environment and the fight against climate change, and he asserts that the Quebec government’s view on the environment stems from a deep conviction that climate change is among the major challenges of this century. Quebec has taken the lead on several occasions recently when it comes to the environment. Cap and trade is an ambitious and key component of Quebec’s approach in the fight against climate change, ensuring that carbon cost is taken into account in individual, organizational and collective choices. The Quebec cap-and-trade system, which has received broad support across the political spectrum, has been operating for almost five years. Last year Quebec became the first Canadian province to move in the direction of adopting a zero-emissions vehicle (ZEV) standard, joining California and several Northeastern states that already have standards in place to increase the number of electric vehicles (EVs) on their roads. Remarkably, the measure was passed with the full support of all four major political parties in the National Assembly of Quebec. Bill 104 requires that as of the 2018 car model year, 3.5 per cent of vehicles sold in Quebec must be electric or plug-in hybrids. This number steadily increases over time, reaching 22 per cent by 2025. 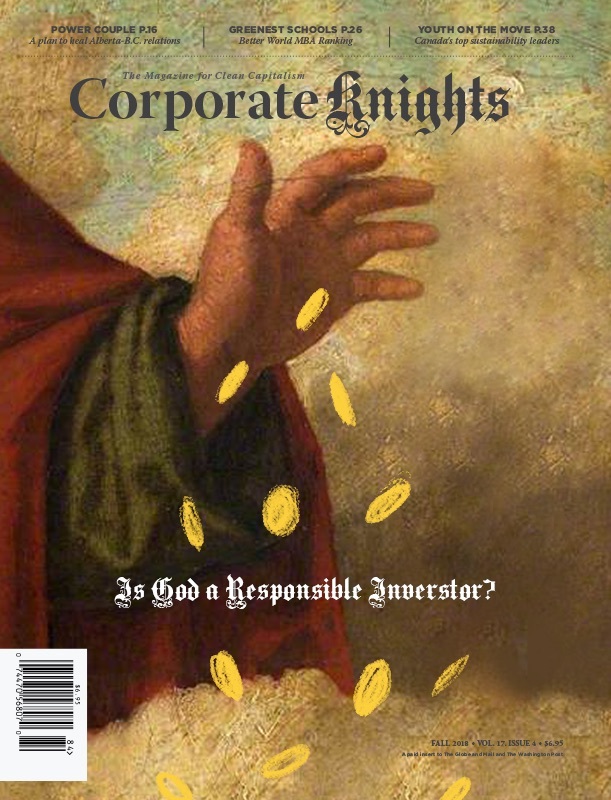 Companies that fail to meet this threshold can purchase credits from those who have an excess. To prep for the surge of these new EVs, charging stations are sprouting up all over the province (1,250 and counting) as part of the Electric Circuit, the first public electric charging station network for EVs in Canada. Steven Guilbeault is the cofounder and senior director of Équiterre, the Montréal-based non-profit environmental advocacy organization that is widely considered to be the most powerful in the province. He blames Europe (in a good way) for what he feels is Quebecers’ greater appetite than other Canadians for politicians to make proactive decisions on environmental issues. 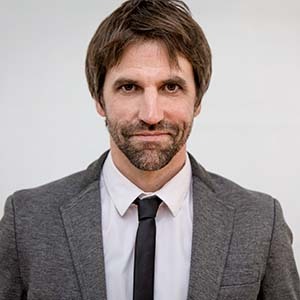 Steven Guilbeault is the cofounder and senior director of Équiterre. Another important element that helps place Quebec a few notches higher in terms of environmental awareness is the fact that its electricity production is pretty green. Hydro-Québec, the government-owned electrical power juggernaut, looms large in the province. Considered one of the major renewable energy producers in the world, Hydro-Québec accounts for close to 45 per cent of all hydropower generated in Canada, while its infrastructure includes the most extensive transmission system in North America. “The fact that Hydro-Québec still belongs to Quebecers, I think gives people some form of pride that we are greener, whether or not this is true,” says Guilbeault. “We are talking perception here, and perception can play a big role when it comes to policy-making and decision-makers feeling that they have the necessary support to do things that might seem unpopular,” he adds. When it comes to perception, nothing is more potent at influencing it than media, and Quebecers consume theirs uniquely. Ici Radio-Canada, the French-language public television and radio network owned by the CBC, is immensely popular and has strong penetration among Quebecers. The public broadcaster tends to spotlight environmental issues and take a stronger (read progressive) position on them than do private networks. One business mogul in Quebec having a big impact on the future of transportation in the province is Alexandre Taillefer. A serial entrepreneur, and perhaps best known as the former judge on Quebec’s version of Dragon’s Den, Taillefer is now Montréal’s newest taxi king. A powerful local business figure on a mission to shake up the cab industry and urban mobility in general, Taillefer in 2015 launched Téo, an app-based, all-electric taxi company. 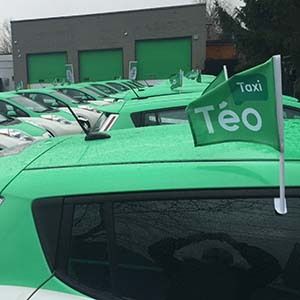 Téo’s green and white branded Teslas, Kia Souls and Nissan Leafs are becoming a ubiquitous sight on Montréal roads, battling head to head with the industry’s old guard and Ubers alike. When it comes to electric vehicle adoption, Quebec is leading the charge in Canada. With 14,390 registered EVs on its roads, the province is home to close to 50 per cent of all electric cars in the country. The government recently launched the Industrial Cluster for Electric and Smart Vehicles, with Taillefer tasked with heading the cluster’s board. The cluster’s aim is to place Quebec among the world leaders in the development and deployment of electric and intelligent vehicles and products and services related to them. Téo Taxi is an app-based, all-electric taxi company in Montréal. Players forming part of the cluster include Saint-Jérôme-based Lion, a company developing a range of electric heavy vehicles, including a school bus and a class 8 truck, and Nova Bus, which recently put into public transport service, for the first time in North America, its 100 per cent electric buses on Montréal routes. Nova Bus, headquartered in Saint-Eustache, is owned by Volvo buses. Taillefer isn’t positive whether Quebec business leaders are more pro-sustainability than those in other provinces, but when it comes to transportation in the province, he says more of them are waking up to the economical benefits of going electric. “In our case we’re reducing our operating costs by around 12 per cent,” he says of Téo. “In the truck business, fuel can represent up to 35 per cent of your operating costs. If you’re able to reduce that to five per cent it makes a lot of economic sense to do it,” he says. Taillefer will soon be launching an electric transport truck project between Montréal and Toronto. As the transition to a low-carbon world intensifies, the environment is perhaps one aspect of Quebec politics the rest of the country can get behind.